'The Great Gambler' [title sequence] [review]: A late 70s RD Burman effort, and as is expected of the vintage, lots of interesting stuff going on; great grooves a plenty. There's Oriental drama in 'Raqqasa Mera Naam', folky pop in 'Pahle Pahle Pyar Ki Mulaqatan Yaad Hain', groovy night club stylings in 'Tum Kitne Din Baad Mile', psychedelic exotica in 'Dance Music', and all of the above plus more in 'O Diwano Dil Sambhalo' (best track). Oddly, it's the score's hit, 'Do Lafzon Ki Hai Dil Ki Kahani' that I find the least interesting. Even if it is, admittedly, rather pretty. So, an excellent soundtrack. Thanks from me too, PC! Thanks a million PC for The Great Gambler and Hanste Zakhm !. 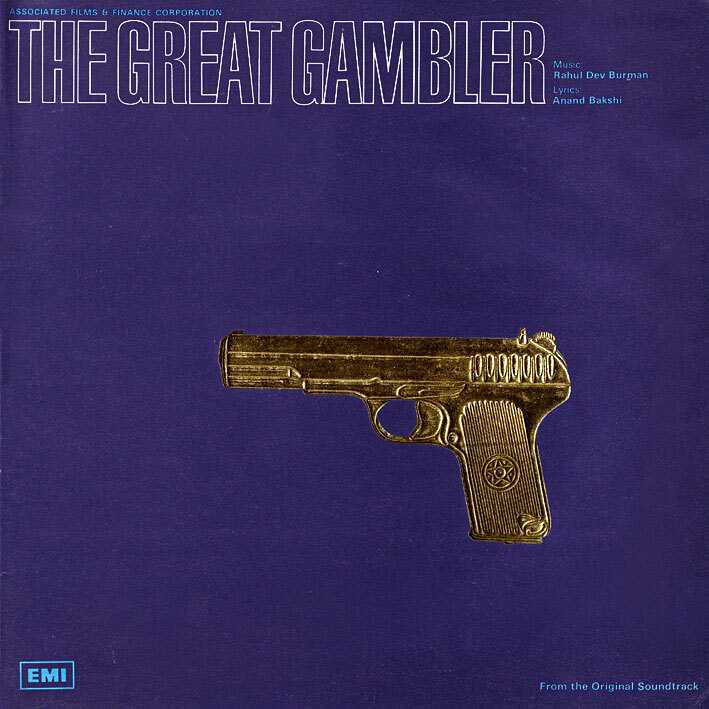 Btw, The Great Gambler was a delayed film, and the music may have been composed sometime around 1974/75. The songs have elements of the early to mid 70's RDB. The quality of your rips ROCK !!. I have TGG on CD, but the vinyl just kills it. A very happy new year to you! The sound of TGG is definitely more cleared than what we have got in ACD. Keep up the good work. Just was curious enough to ask - do you have Mera Naam Joker, Sangam, Suraj, Aayee Milan Ki Bela, or other blockbusters of Shankar Jaikishan in 60's?